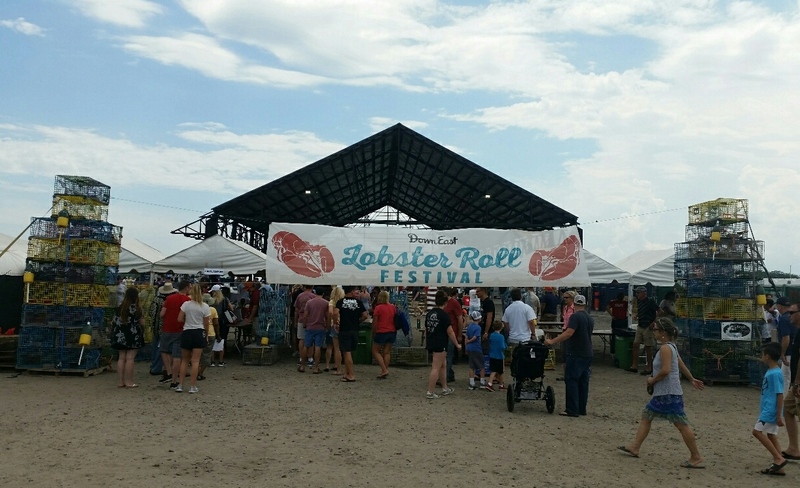 The field had been narrowed down to 12 competitors for the World’s Best Lobster Roll Competition by the time the Downeast Lobster Roll Festival came to Thompson’s Point in Portland. 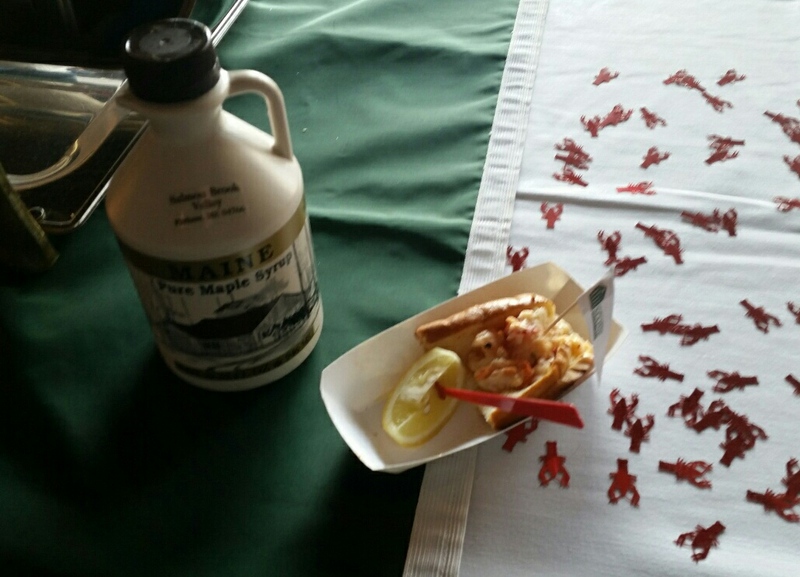 Those 12 – eight from Maine and four from away – brought everything they had to earn the title of World’s Best Lobster Roll. Rules were simple – everyone who had a VIP pass received three tokens. They could try any and all the rolls and distribute the tokens among the entrants they felt were best. All three tokens could be given to one, one each could be given to three, or any combination thereof. From there, the field would be narrowed to three finalists and five judges would determine the very best on earth. I made my way around the room at Thompson’s Point trying each of the rolls over the course of an hour or so. To wash them down, I took advantage of the Allagash Hoppy Table Beer being served. As I walked around grabbing the lobster sandwiches one by one, I made note of the ones that stood out among the rest grading them all on a scale of 0-100 like I was scoring a test. Northern Maine Community College’s Rob Ottoviano was particularly passionate about his roll, made with Maine maple syrup and presumably lots of love. He had an entire cheering section wearing promo t-shirts and roaring for their guy. His mother made a plea for one of my tokens as I went by and devoured his creation. Some rolls were warm and some cold. Some had butter, some mayo, and some a lemon slice. A few had seasoning or greenery. They were all excellent, and all of them added ingredients to the lobster that enhanced, but didn’t overwhelm it. To my dismay, I had to make decisions about which were my favorite. Unfortunately, there were four that stuck out to me. While my 100 point scale never left the 90s, those four were in the 98-99 point range. 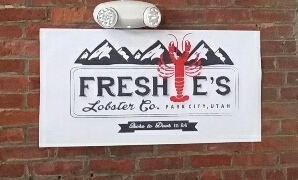 The first was Freshie’s Lobster Co. The rolls were simple, high quality, and made with fresh ingredients. They gave my mouth the happies. My next choice was Northern Maine Community College. The hint of sweet maple was nice, but it was also the first roll I had that came with a lemon wedge. It was good without lemon, but – and this may sound crazy – a squeeze of lemon made it just unbelievable. That acid addition transformed it into something incredibly special. 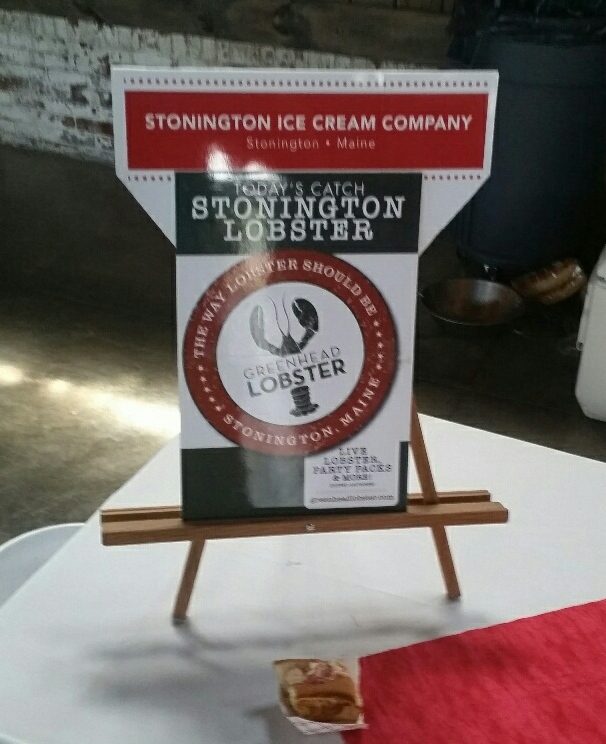 For my last pick, it was a coin toss between Stonington Ice Cream Co. and The Clam Shack. Stonington’s roll had a bit of onion which gave it a freshness that the others didn’t have. 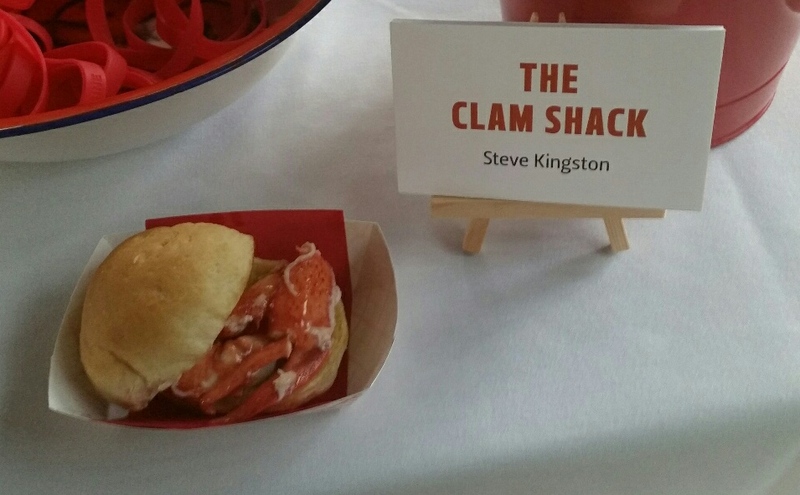 The Clam Shack’s offering was on a bun instead of a roll and kept it basic with mayo and a nice portion of lobster. I found their simplicity alluring, but in the end, I dropped my token in the Stonington bucket. At approximately 1:30 we learned the three finalists were Freshie’s, Northern Maine Community College, and The Clam Shack. I was off by one, but glad to see many in agreement with me. With some time to check out the festival, I went out and did that with anticipation of viewing the final judging at 3:30. Unfortunately, everyone was soon forced inside due to the weather and the final round took place at 2:30. 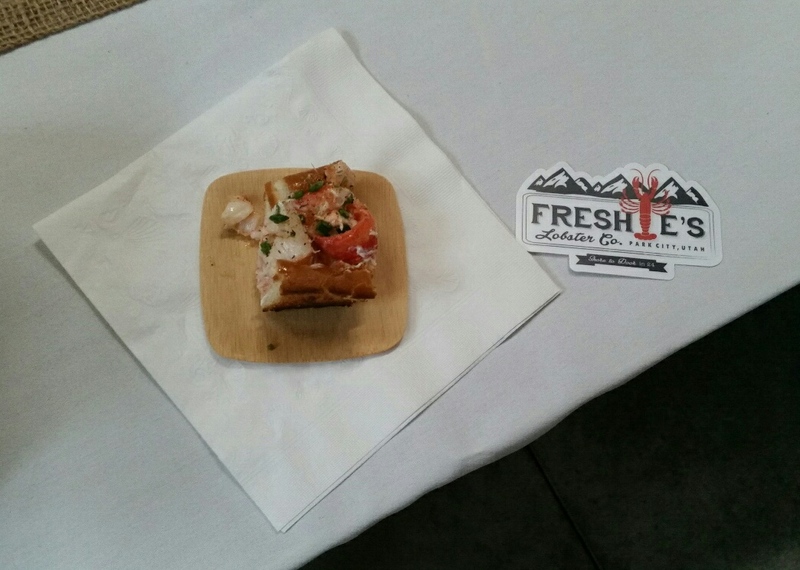 After the judges sampled the sandwiches and deliberated, the crowd awaited a winner with great anticipation. When the announcement came, the final results were in favor of…drum roll please…Freshie’s Lobster Co.
Freshie’s owners Lorin Smaha and her husband originate from NH and ME respectively and she had told me she didn’t believe there were any advantages to coming from outside as a competitor. Nonetheless, they overcame that to win the title of World’s Best Lobster Roll. Those who stayed for the final round were treated to a free roll. It was an excellent experience and all the competitors deserve high praise for their great products. 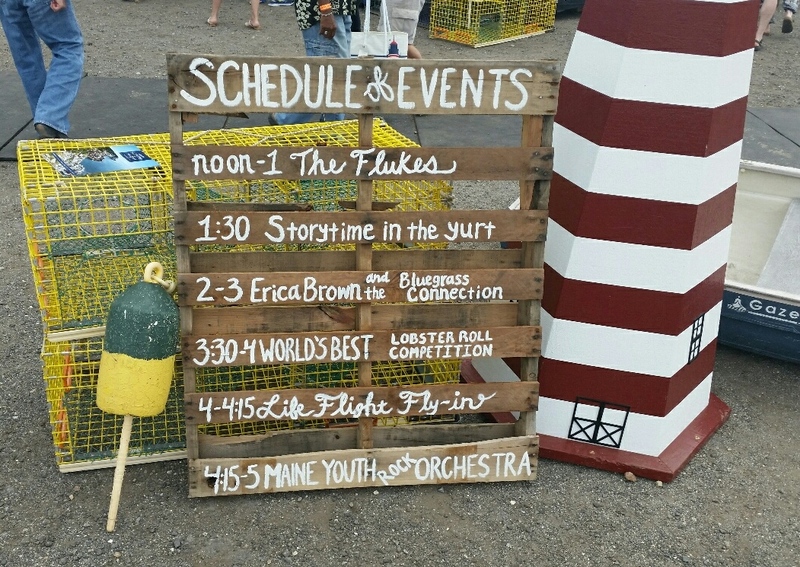 Congratulations to the three finalists and especially Freshie’s for representing Maine lobster so well in Utah. 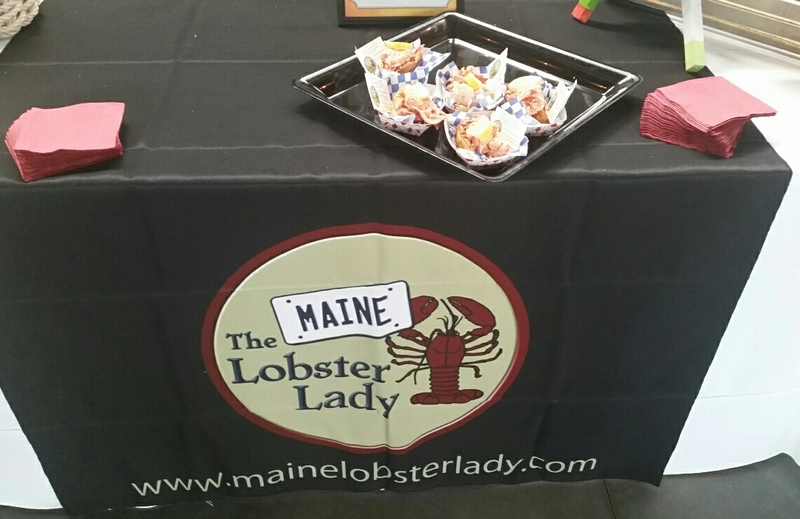 Special thanks to Kathleen Fleury of Downeast Magazine for the invite and Lorin Smaha of Freshie’s Lobster Co. and Sarah Sutton of Bite Into Maine for their thoughts on the competition. This entry was posted in Portland, ME food on July 9, 2017 by peterpeterportlandeater.